Instead of going on a quick getaway to Berlin this week I’ve been working extra hard to make up the time I spent sneezing and watching Netflix. Berlin will still be there later, I hope. The first lot of finished books is one of 6+1 long stitch bullet journals. 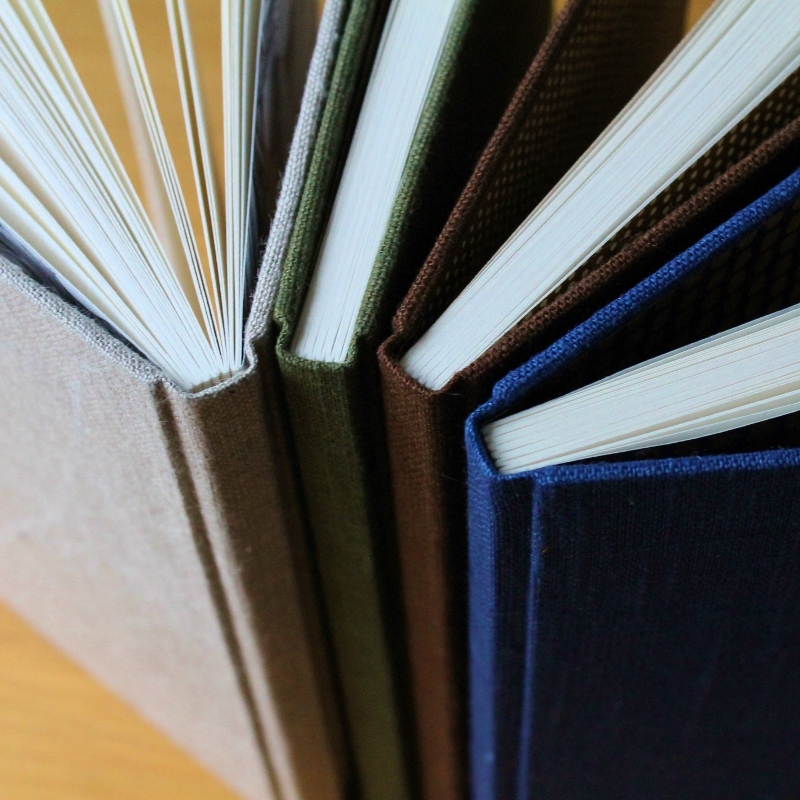 Six books have off-white pages with a smaller 4 mm dotted grid whereas the lonely one has heavier bright white paper with a 5 mm dotted grid and a different sewing pattern on the spine. I hate always being so early to mention how the holiday season is fast approaching, but Finland is so far away from most of you that I really must! For you guys living in countries not in Europe or North America it’s recommended you place your order as soon as possible and no later than November 22nd - the rest of you have a little more time, but it’s still a good idea to be early rather than to be late. And there’s always the issue of Paperiaarre items being unique and hence worth grabbing the moment you see something you fancy! So maybe treat yourself (or someone else) with a new bullet journal this week and get organized now instead of 2019? You can find these seven and all other available dotted grid notebooks in my shop through this link. Next on my to-do-list is attending a poetry event (as an audience member this time! ), finishing a special book for an old friend, and finishing the covers for a small lot of notebooks with vintage bunny print endpapers. I should have them ready for you guys in a week or so! All that will change now, thanks to these long stitch bindings, with a custom printed dark purple 4 mm dotted grid on recycled kraft paper for pages (a smaller than usual grid as I have a smaller than usual handwriting). The yellow one is the first in line for me - already filled with a few months' worth of calendar markings and plans for new books. Larger kimono books are underway as well as some tiny sketchbooks with watercolour paper covers, which have been sadly out of stock for a long time. Now that the first days of May have flown by, it's time to share my favourites books of the April #areyoubookenough bookbinding community challenge. Visit the instagram post below to click through to each book artist's profile and see more of their work! The May theme for the challenge is 'Secret'. I look forward to seeing what people come up with - will there be writing in code, hidden compartments, or personal secrets revealed? I have a list of possible ideas, but I'm still miles away from actually deciding what to create. I have made books. Still miles away from feeling 100%, but I have made books. 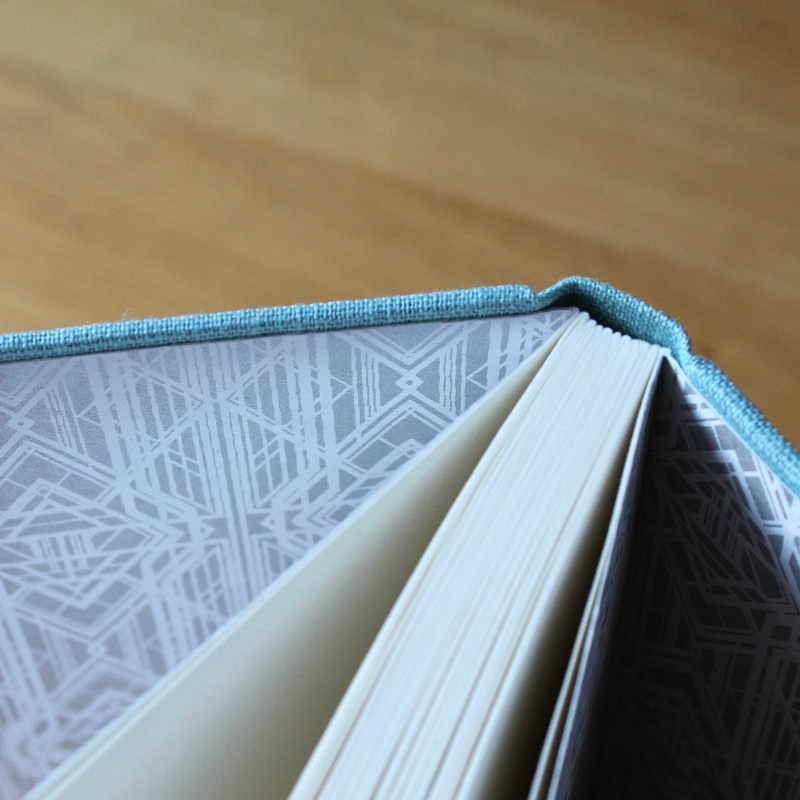 Sewn boards binding paired with dotted grid pages makes for some elegant and totally one of a kind bullet journals. If you're interested in giving one of these a home, or just like to see all the details, check them out in the Paperiaarre shop. I like to make the dotted grid pattern pretty light compared to any of the commercially made dotted grid notebooks I've seen - just like the lines on a lined paper the dotted grid is supposed to act as a guide for whatever you put on the page, not take the center stage. This light gray dot grid lets your work stand out and doesn't distract you visually. And we're officially back in business! As you well know, I took a loooong break from bookbinding this summer. While my days were filled with exciting things like writing, apartment hunting, renovations, etc., bookbinding was something I sorely missed in my daily life. The new workspace has now been put into use at last, and you can find four new books in the Paperiaarre shop. 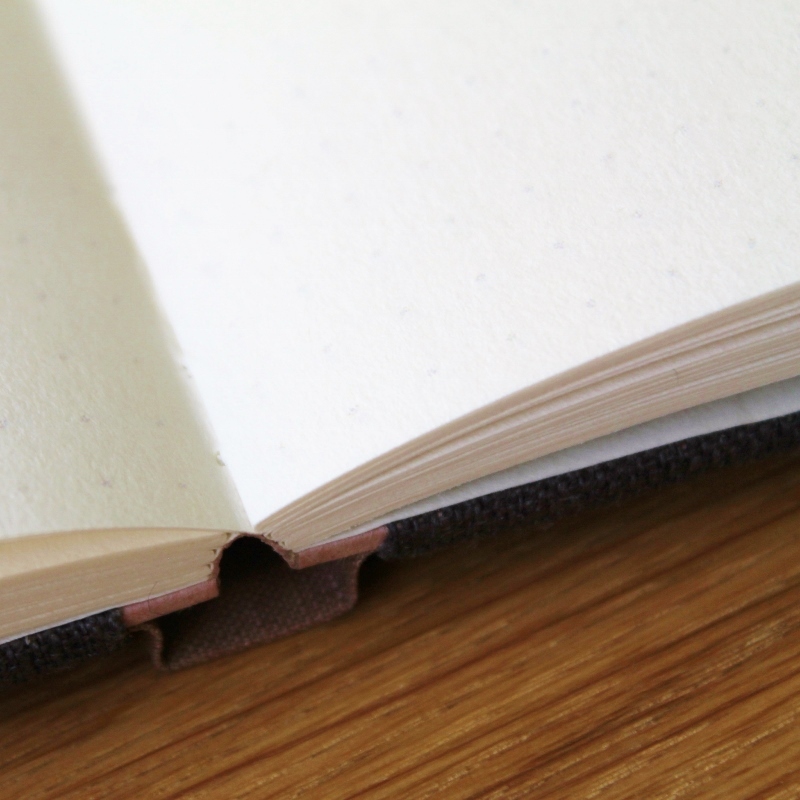 Each book has 96 bright white fairly heavy-weight pages with light grey 5 mm dotted grid, making them perfect for bullet journal use, or for anyone who likes their books with a bit of a visual aid instead of blank pages. I personally find dots less distracting and more practical than lined pages. As always, these books are all one of a kind. 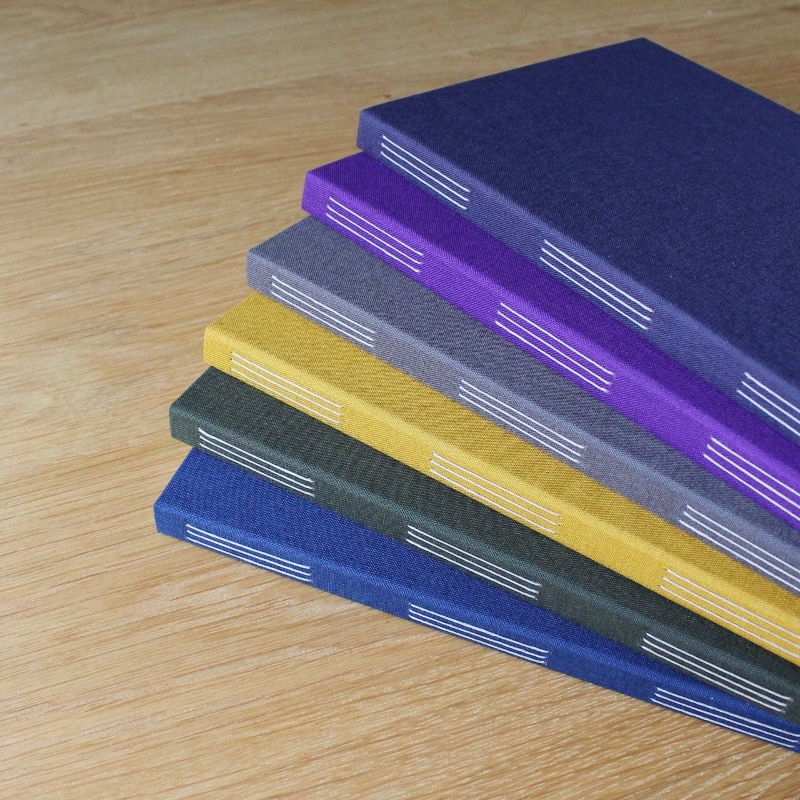 Only one book in each colour was made, and once a colour has sold out, it's gone. So, you know what to do if you find yourself having an instant favourite!